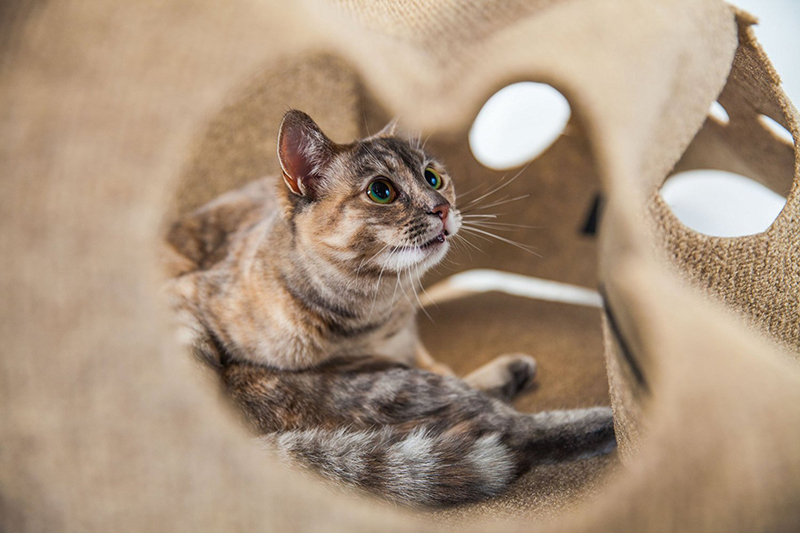 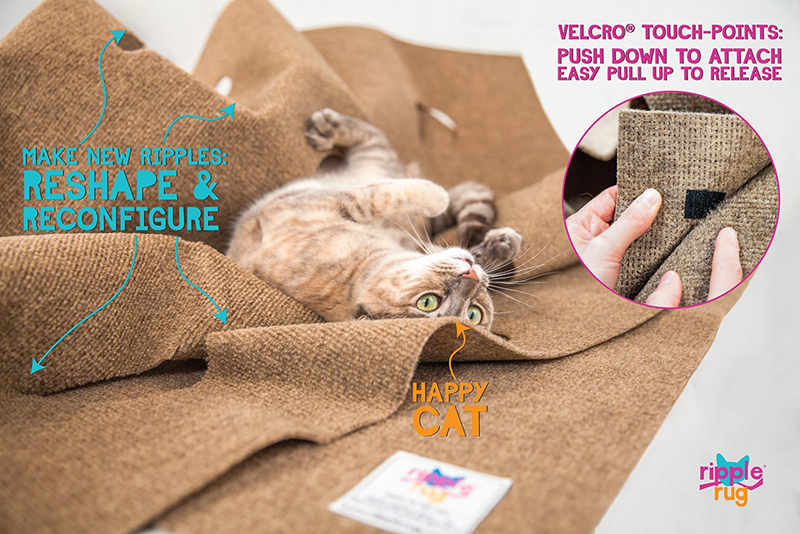 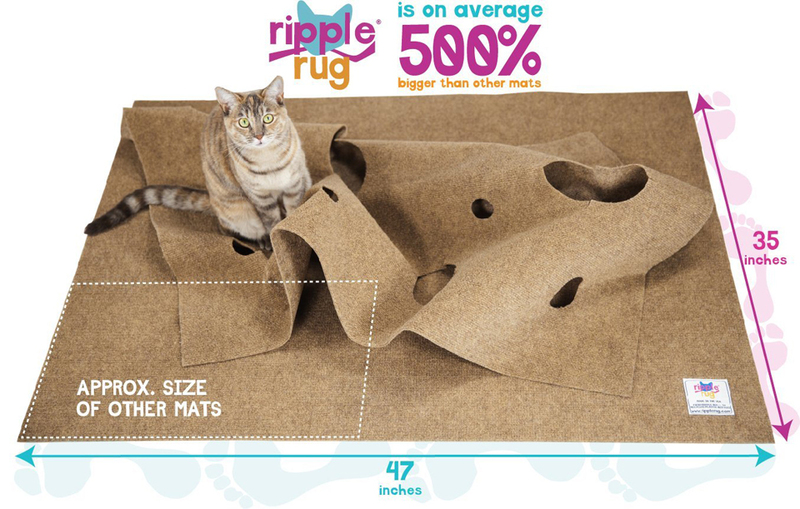 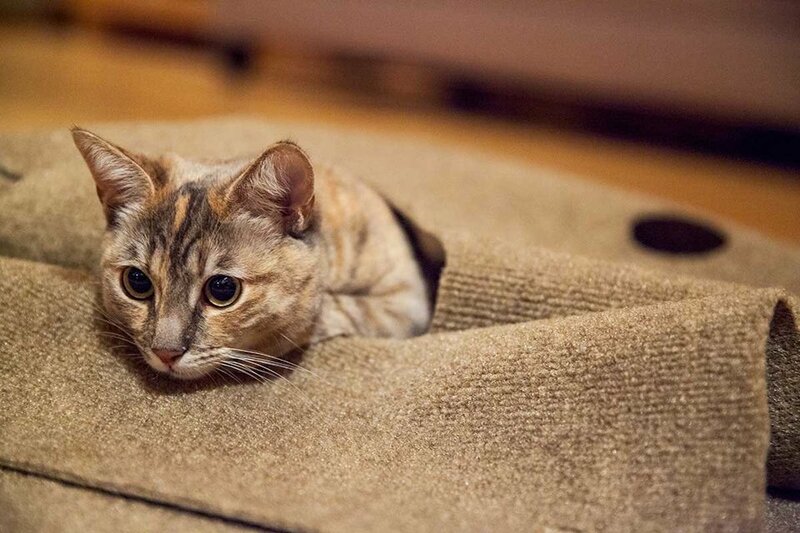 Give your cat a different happy place every day with the Ripple Rug. 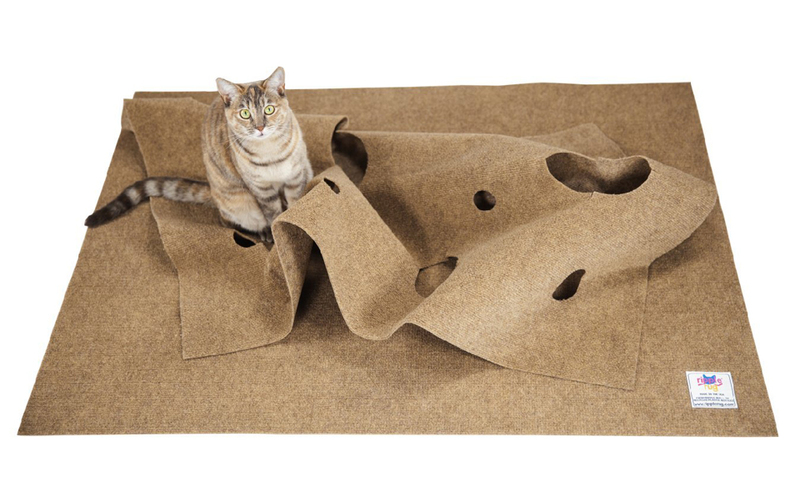 It consists of a base rug and a detachable top layer peppered with holes. 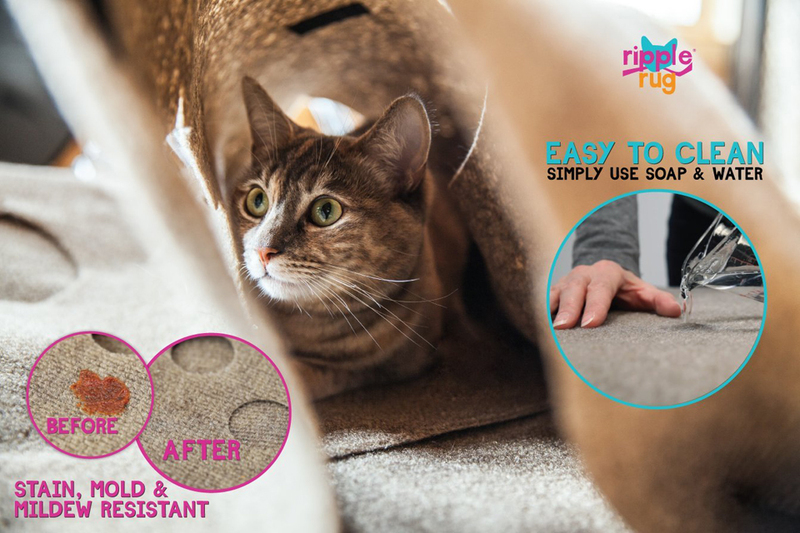 The top layer has Velcro strips that let you reshape it on the base rug. 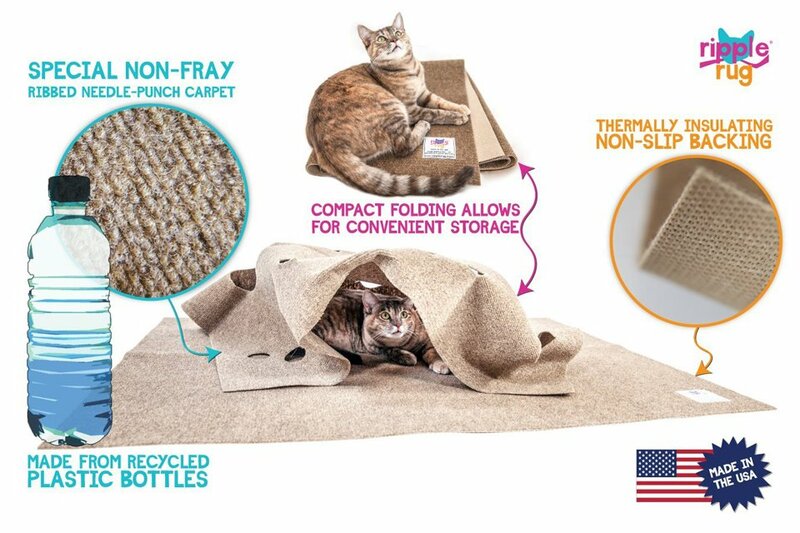 It’s made from recycled plastic bottles and is non-toxic.